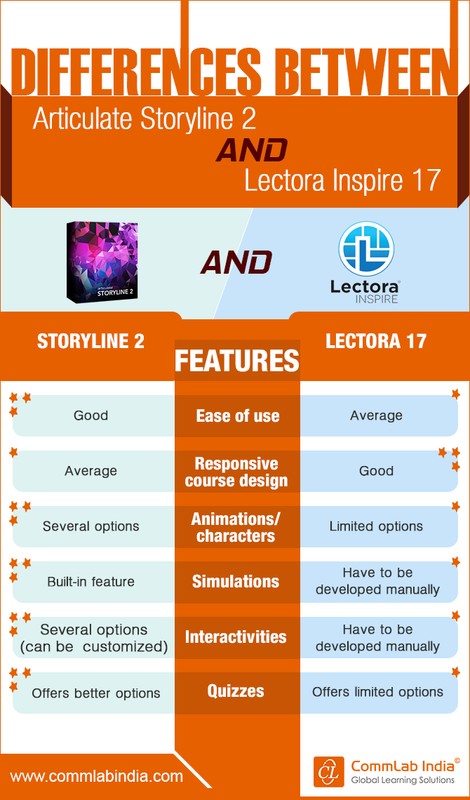 The two most popular authoring tools creating a buzz in the market today are Articulate Storyline 2 and Lectora Inspire 17. Both tools help develop interactive e-learning courses. They allow developers to capture screens, create quizzes/assessments, create scenario-based content, and so on. There are however, major differences between them. Wondering what these differences are? Take a look at the infographic that lists the differences.